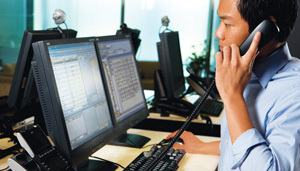 Our NEC switches can be configured with a variety of Call Management software packages that allow you to collect information that helps manage costs within your business; raise productivity with integration with your databases; helps track how well your employees are servicing your customers; as well as generating reports on how many calls your organization makes and receives or to see how well your marketing campaigns are doing. Call Accounting & Reporting – Daily, weekly, monthly call reports. Desktop Suite – Tie your phone system calls with you employee’s computer and databases. ACD Call Management – Track how many calls are being made by each employee, group, ACD agent. Call Recording – Record telephone calls made for training and quality assurance purposes.